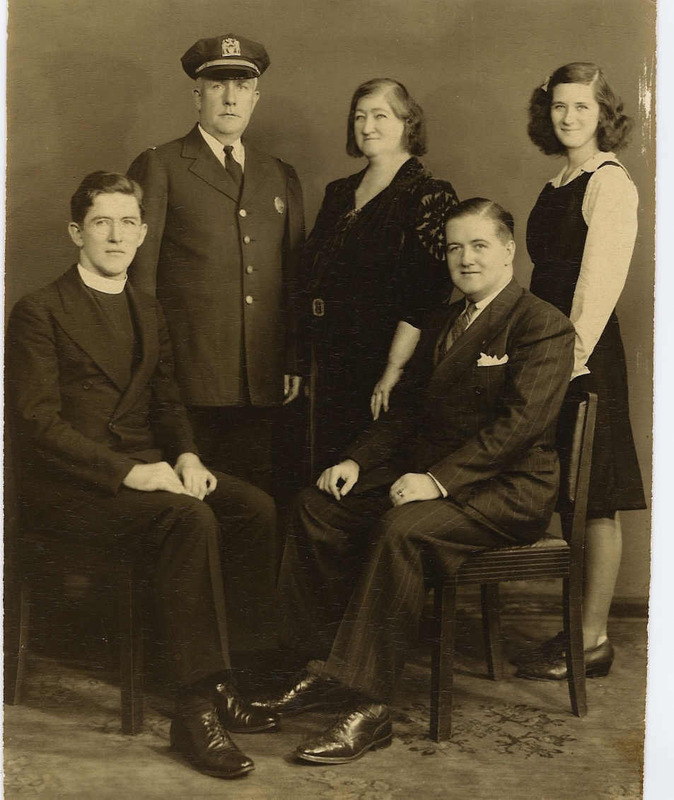 Comments: Anna May O'Callaghan (Nee: Cassidy) | NY United States | 1941-1960 | Comments: This is a picture of Michael O'Callaghan (NYPD) with his wife Anna Cassidy O'Callaghan. There children Fr. Dan O'Callaghan, James O'Callaghan and Joan M. O'Callaghan. This was taken around 1943 when Fr. Dan was ordained as a Priest in the Carmelite Order.